Before the comments start coming in asking if I have gone off the deep end, please read this post. To be clear, I am not talking about the “U” in the acrostic for the Calvinist belief system. In one way, I am talking about the exact opposite of that. So here is my premise: we must choose Jesus Christ purposely, obediently, and unconditionally. I have heard it said that “God has no grandchildren” and I believe it is true. Each on of us must come to a personal decision to submit to the lordship of Christ, based on the faith and understanding we have gained from His Word. Infant baptism is not a concept that was taught in the New Testament, and therefore it has no place in a New Testament patterned church. If we are saved by grace through faith (Eph 2:8-9) and faith comes by hearing the Word of God (Romans 10:17), then there is no way for an infant who can do none of those things to be a disciple of Jesus Christ and submit to His lordship. As James wrote, faith is dead without obedience. Remember, when James is talking about works, he is referring to obedience. When Paul writes about works, he is usually addressing works of the Law, or works of our own merit. All people today are not just called to mentally ascent to a set of doctrines about Christ. We are called to submit to His authority by obedience that is made possible by grace through faith. Jesus put it this way in John 3. When we come to Jesus, we must come without reservation or preconditions. Too many are taking Jesus for a test drive to see if He really can make their life more enjoyable. Jesus demands that we come to Him not just as our Savior, but as our Lord as well. When we come to Jesus, our theme needs to be “I Surrender All” or don’t bother coming at all. Jesus is not here to be a welcome addition to your life. He wants to BE our life, but He does not share our lives. We die, and He becomes our very life. Paul picks up on this theme as well in Romans 6. So yes, we can say we believe in unconditional election when it concerns salvation. We just need to be clear that we are talking about our choosing to accept the free gift of salvation in the Gospel message, and that we are placing no conditions upon Jesus to make us footloose and fancy free in this life. First of all, that was not a typo. I want to briefly take a look at an incident the happened with the Israelites in the wilderness. God was judging them with poisonous serpents. The nation chose to repent, and God gives Moses a cure for the snake bites that is very unusual. One of the things I wonder is how many people rejected the solution because it was just too easy, or because it didn’t make any sense to them. Many people are that way about salvation even now. Many reject it because it can’t be that easy. There has to be something we have to do to earn salvation rather than just receiving the free gift by faith in the resurrection in baptism! Or even reason that they are not worthy of it because they have so much sin. But what does this story really have to do with us today? It was a shadow of what Jesus would do for us so many years later. Jesus himself said so. 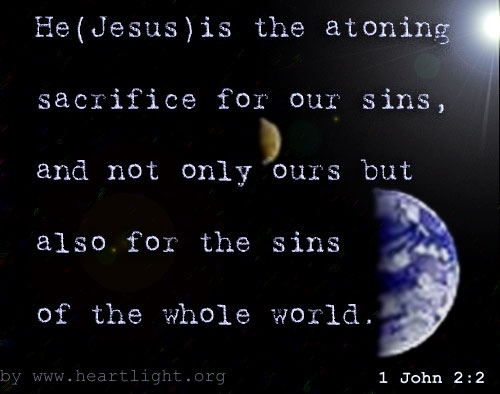 When we look to Jesus, we need to see Him as the one bearing sin. Not just the sin of the world in general, but our personal sin debt. 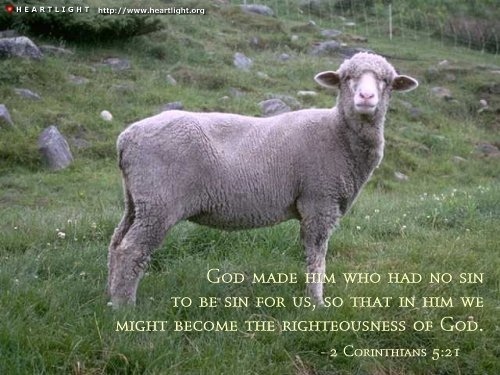 As we look at Him as our atoning sacrifice for sin, we can claim the freedom that He purchased for us from that sin. In fact, we did provide something that day at Calvary. We provided our sins for Jesus to bear for us. When He died, we died with Him so that we can be free from the power of sin. 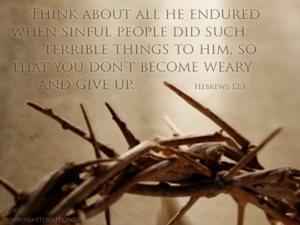 Now that the sin debt has been paid, we should continue to look to Jesus for the strength to endure. As we look upon Him and what He has done, we also look forward to the day when we, too, will be before the throne of God. Have you ever been listening to someone, or just reflecting on a situation and come to the sudden realization that you were wrong? You know, that sinking feeling that you have totally blown it and are helpless to make things right? It is a terrible feeling when it comes from within us, and is even more frightening when it comes from the Holy Spirit through the Word of God. That kind of terrifying reality check is what happened to those gathered in Jerusalem for the Feast of Pentecost in Acts 2. What hit the audience that day was nothing short of cataclysmic. It would be bad enough to find out that the promised Messiah that you have been waiting centuries for had been killed. But Peter brings home the point that THEY had been the ones to have it done by the Romans! Could there be any sin in the universe greater than the murder of the Sin of God? This is what it means to be poor in Spirit. Before we can come to Christ we must come to the realization that we are hopelessly lost and condemned before God and fully deserving of His wrath. As long as we think we can do anything to rescue ourselves, we are not ready to be saved. Only when we come to that place in our hearts can we truly throw ourselves on His mercy and accept the forgiveness that is being offered, just like they did in Acts 2:38. Peter didn’t leave them hanging there. 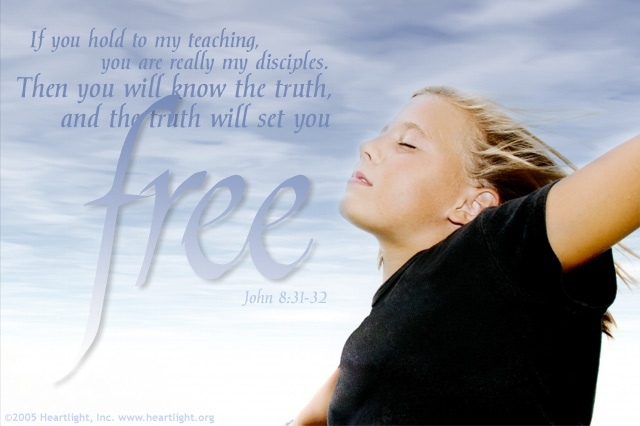 He told them what they must do in order to accept the free gift of the Grace of God. Salvation that begins at the place of utter inability to save ourselves will also result in disciples who are walking with God for the long haul. They are not coming to Jesus because He is really cool and makes them feel good. They are there because only Jesus can rescue them from the judgment to come. Don’t be afraid to talk about how our sins were part of what sent Jesus to the cross with a lost one. We must not neglect the preaching of judgment in our messages, lest we fail to show sinners the reality of their predicament and they someday find themselves standing before the Messiah they have rejected and are eternally lost. The way Jesus answered questions that were asked of him was very revealing. At times, questions were used by those who opposed him to try and trap Jesus into saying something that they could use against him. When that happened, Jesus would give the answer they deserved but would still teach something in the process. What I am looking at right now, though, is a sincere question that was put forth that Jesus obviously answered as best he could in Acts 1:6-7. There are some things which jump out at me from this encounter. The first of which is that the disciples had earlier had their minds opened to understand the Scriptures and what had been written about him in the Law and Prophets at the end of Luke’s prior account. Having received this supernaturally accelerated education, the question gets asked about a physical restoration of the Kingdom to Israel. This was not, as some commentators would have us believe, the last vestiges of a misunderstanding about the true nature of the Kingdom. If that had been the case, then Jesus would have answered something like “that will not happen” or “the Kingdom will only be in your hearts” instead of telling them that only the Father knew the timing of the events. His answer implies that the events will actually occur. If the Kingdom were ONLY spiritual, then his answer is misleading, and we know that cannot be the case. It would also mean that they had not really had their minds enlightened to understand the Scriptures after all. This was not asked by just one person, either. The verse says “they” asked. 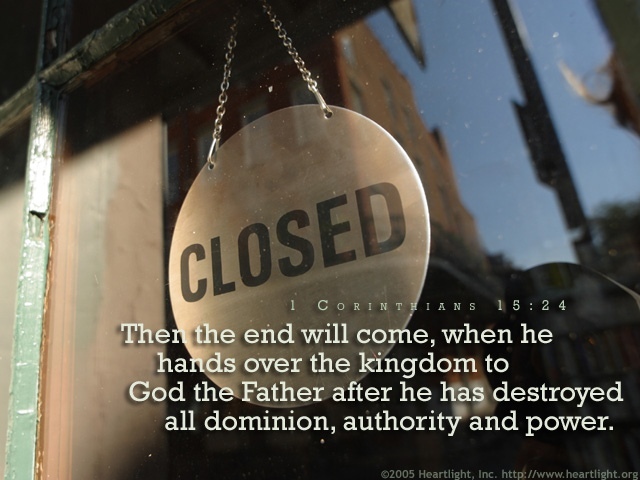 What Jesus said was that the Kingdom would be spiritual before it would be physical. In short, Jesus got them to focus on the part of the plan that was up to them. They would receive power from on high and go into all the known world and preach the Gospel. Don’t worry about the part of the plan that will come later. They needed to get inboard with the part they were to play and leave the other part to God. This also means that the endless debates about whether or not we are in the Kingdom now as opposed to later are pointless. The answer is that yes, we are the Kingdom of God now in a spiritual sense, but at a future time the Kingdom will also manifest literally in a physical sense. The two views are not contradictory, but are consecutive. We have been debating as if the two manifestations of the Kingdom are mutually exclusive when they are not. As I said before, Acts 1:6-7 would have been the perfect time to set the record straight by telling the disciples an answer like “He is not, it will only be I your hearts” but Jesus did not do that. Rather than deny the future restoration of the Kingdom to Israel, he simply told them they would know the time or season it would happen. Or how will Jesus Christ rule the nations with a rod of iron (Revelation 19:15)? No, only the “first the spiritual, then the physical” interpretation works for the passages about the Kingdom and reconciles them in a way that keeps us from having to consign whole passages to being taken as allegory when they are in fact all describing actual events. In future posts I will attempt to expound upon the “first, then” pattern in the Bible, but space demands that it be separate. As I said, feel free to comment, but please first consider the plausibility of what I have written instead of jumping to proof texting. May our discussions be fruitful! Would anyone knowingly follow an Antichrist? Would you? Of course not, but many are unknowingly follow the spirit of Antichrist and believe they are quite right and tolerant to do so. If that is the case, and I believe it is, then we need to know what that spirit is so we can avoid it at all costs! The Apostle John introduces the first mark of this antichrist spirit (or philosophy) by its first identifying characteristic. It denies that Jesus is the Messiah (or Christ). Notice that he doesn’t use the phrase “a Christ” but rather “the Christ”. While there are certainly many who deny that Jesus was who He claimed to be, there is also the dangerous teaching that Jesus was “a” Christ, just one among many. Jesus is portrayed as a way to God, but not as the only way. That is one reason the teaching is anti-Christ, or anti-Messiah. It denies His unique role in salvation. Jesus, however, said otherwise. John reiterates this point when he mentions the spirit of Antichrist again in chapter 4 of 1 John. What does he mean by denying that Jesus came in the flesh? Well I think the key is in the word “came”, because they will acknowledge that Jesus was an actual person, but not that he came from God as the Word made flesh (John 1:14). This is the philosophy that says Jesus was just a good man or a great teacher that was later deified by his followers. It is supremely strange to think that all of those who were Jesus’ disciples died for what they had just made up! It also makes Jesus out to be either a liar or a lunatic (see C.S. Lewis “Mere Christianity”). The world has no problem with liking Jesus, but worshipping Him as God and only Savior is considered intolerant. We must be careful not to succumb to this politically correct philosophy. It is the path of least resistance, but it is the road to destruction and will cost us dearly if we choose to follow it. 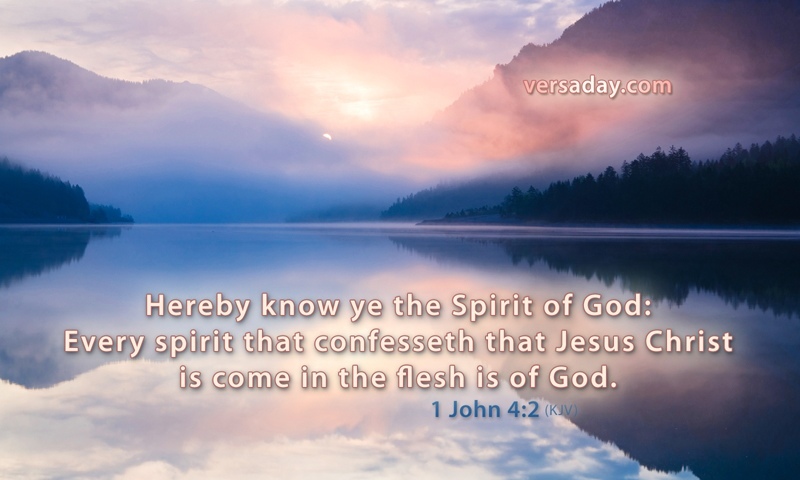 John also addressed the problem in 2 John verse 7. We must resist this spirit/philosophy of Antichrist with all we have within us. We must teach our children and new Christians not to fall for the trap of the devil that would entice them to please men rather than God. John tells us what the truth is that we must embrace about Christ at the beginning of his gospel and does so better than I ever could. Whenever there is film of a marathon race, they like to show the participants as they get near to the end of the race. I have yet to see anyone stopping to do some shopping, or to play a quick game of basketball during the race. That doesnt happen because the runners are fully focused and what they need to do. I think that maintaining our focus is one of the reasons for our communion at the Lord’s Table every week as well. Hebrews 12 talks about things we can do when we take the bread and the fruit of the vine that will help of run with endurance. First, we take encouragement from those who have run the race before us. We also build one another up as we partake of the emblems each week together. This is not something we do alone. 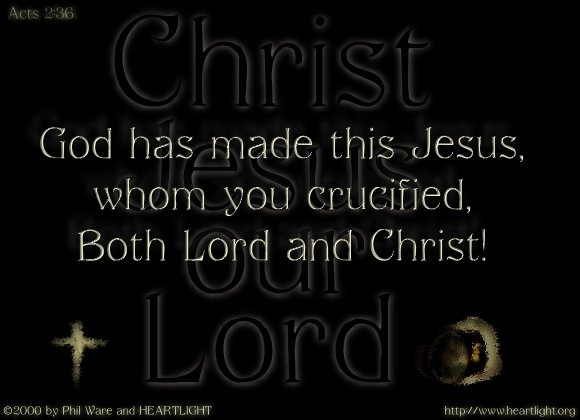 It is, as Paul described it in 1 Corinthians 10, a communion in the body and blood of Christ. Second, we should reflect on our lives and determine that because of our love for Christ and our gratitude for the price he paid, we will lay aside every sin that so easily ensnares us. As we remember the brutality of the suffering that He endured, we are reminded of the awfulness of our sin and resolve to turn from it, lest we be ensnared in it again. Third, we must focus on Jesus, who is our supreme example of endurance. Think about what He went through. Think about his focus stayed on the joy at the end, when he would be able to redeem his bride and spend eternity with us in heaven. And as we consider the hostility He endured for us, it will help us to endure the trials we go through and not become discouraged and weary. He died for me; I will live for him. Take time today to focus on Jesus and what he has done and resolve anew to never quit, but rather to run with endurance and finish well. On the other side stand those who say that Christ died for all, but that the price that was paid is only efficacious for those who obey the Gospel offered by grace to those with faith. How this question is answered is highly consequential, for it will affect your entire view of the nature of God. Does God only love and save a few, or is there a universal invitation offered in love but which only a few will accept and obey? Let’s see what the Bible says on the matter. Who has Jesus invited to come to Him? What can be seen from these verses is that the call to salvation has gone out to all men, not just to an elect few, and that the invitation is for whoever will believe and obey it. So then, it is reasonable to conclude that the blood that was shed was sufficient for the forgiveness of every sin ever committed. Do you see the significance of that? The price has already been paid. All that is left is for us to accept that sacrifice through faith when we obey the Gospel. If someone goes to eternal punishment, how much more tragic it is that they will do so in spite of someone having paid their sin penalty for them! The last words Jesus spoke before ascending to the Father, we’re a command to go into ALL the world and make disciples of all the nations. How? By baptizing them, and teaching them to do all things He had commanded them. (Matthew 28:18-20). It is certainly fitting, then, that the New Testament should end with a call to salvation as well. And it is a call to whosoever will (aka all y’all).